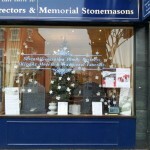 From the 1st December, Lodge Brothers and Wickenden’s annual Tree of Remembrance will be available in our branches. If we have cared for you in the last 2 years you will have been sent some tags. Perhaps your bereavement was more than 4 years ago, or maybe we didn’t look after the funeral arrangements for you at your time of loss – regardless of this, you are very welcome to call in or ring us and we will happily supply you with a tag so that you too can write your own Christmas remembrance message to someone you have lost, and you can come in and pin it to our tree.